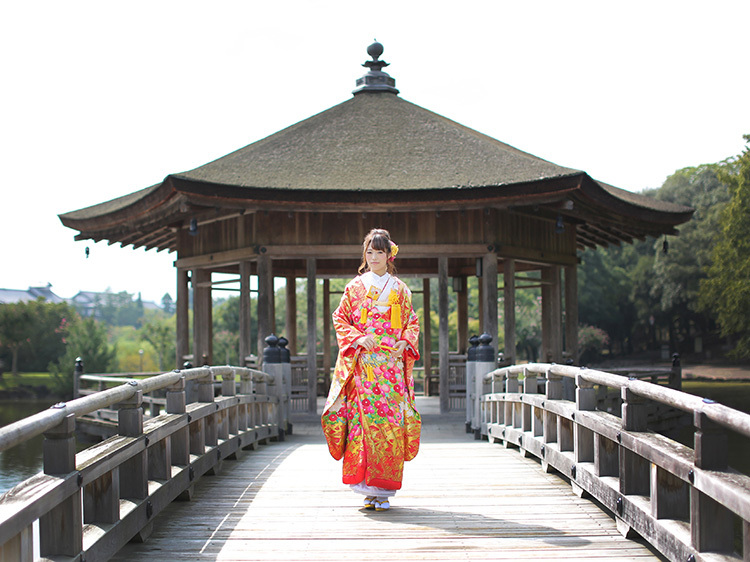 We are pleased to announce the grand opening of our new studio in Nara! 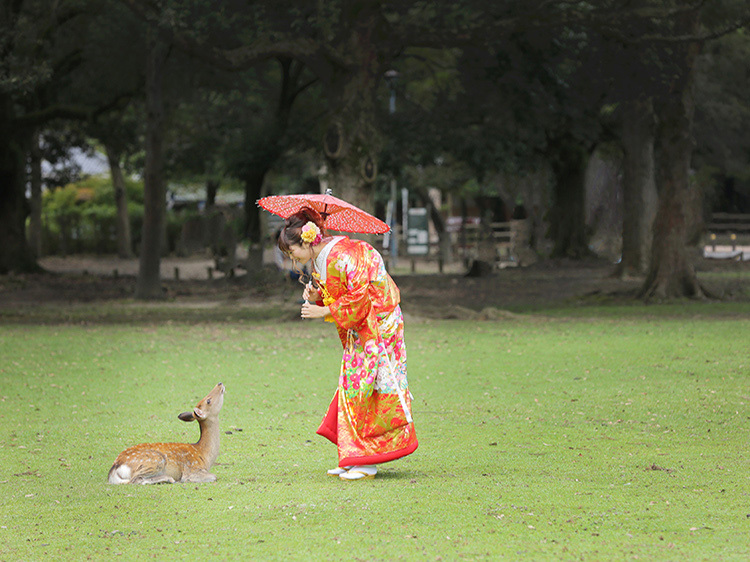 “Ukimi-do” which is located in Nara park and is one of the symbols of Nara. 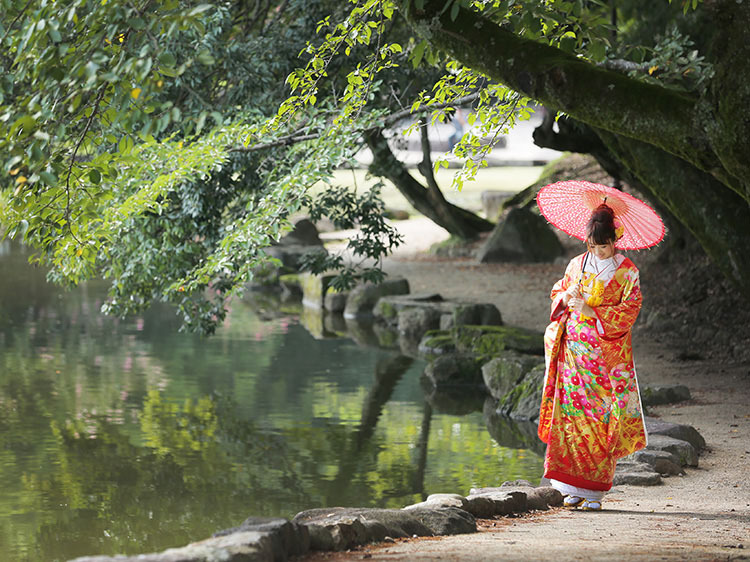 The beautiful view surrounding there is so impressive that both western style or Japanese style match. 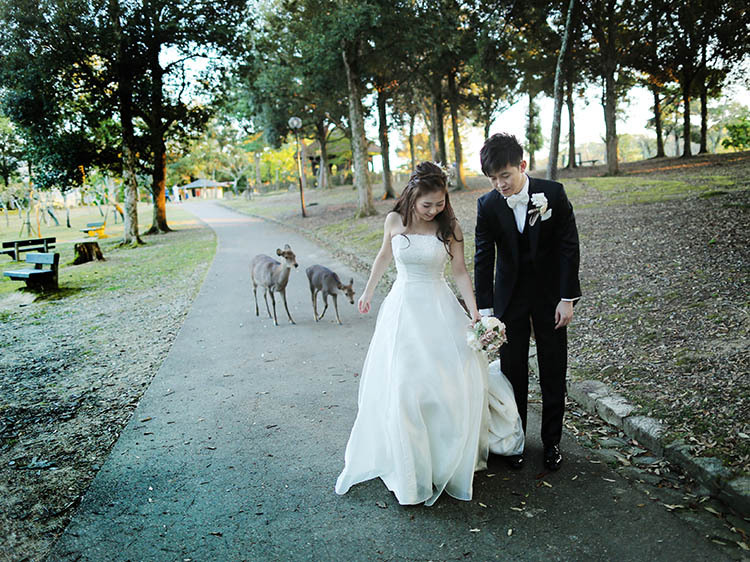 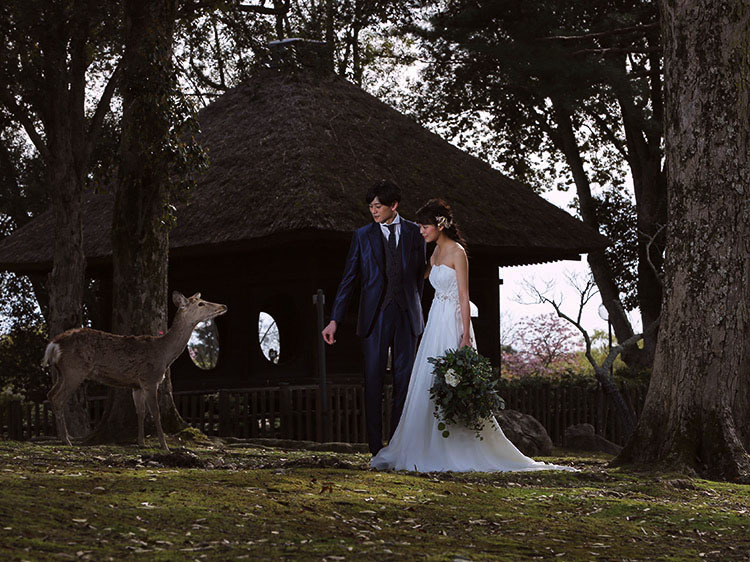 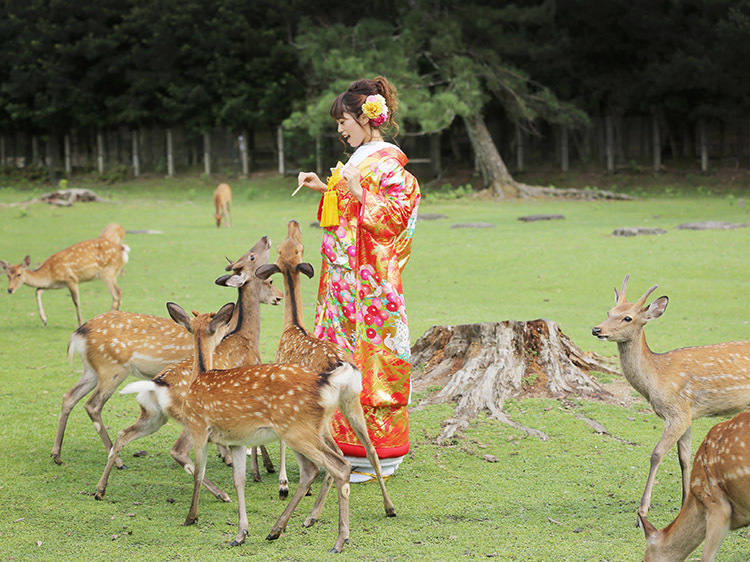 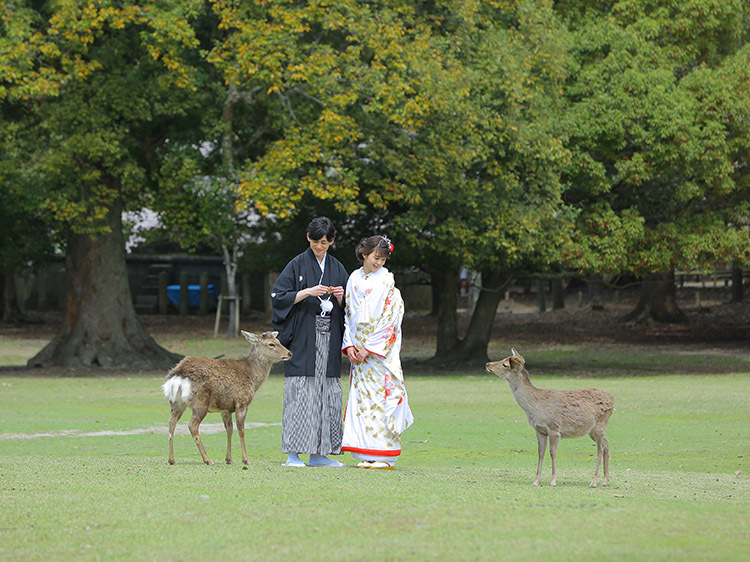 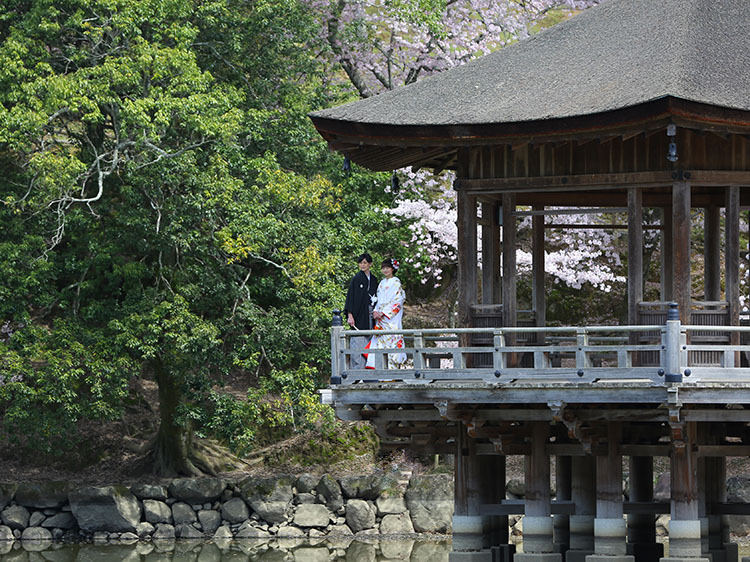 Nara will be a nice choice as a location for your wedding photo. 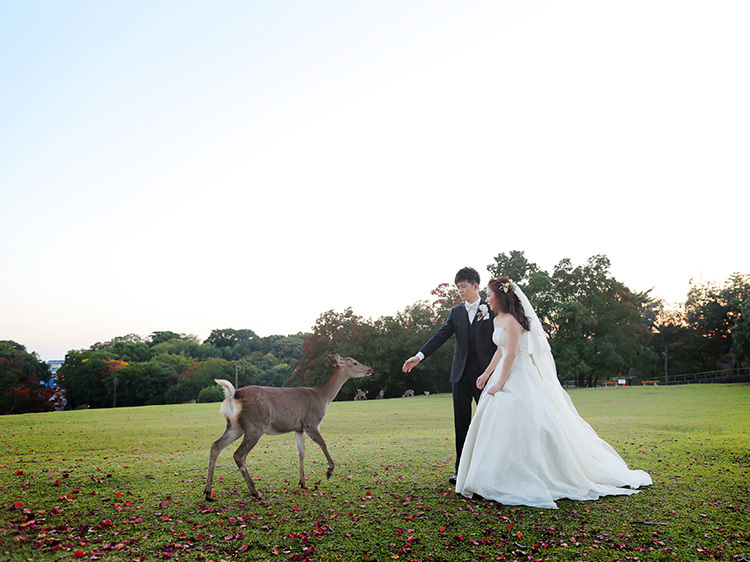 Capture your wonderful moment with a cute deer and a natural surroundings easily with a special price for the grand opening of Nara studio, only NOW!